Power supply by Built-in rechargeable batt. and dry batt. 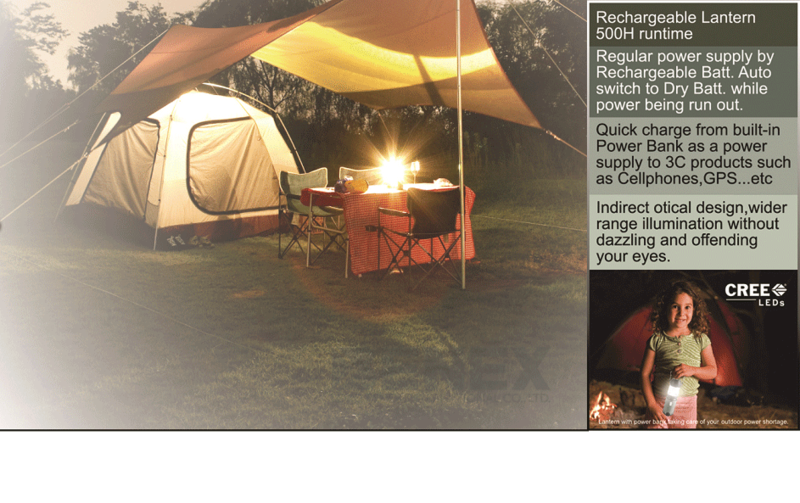 , provide durable power supply. Standard Micro USB power charging, compatible for electronic devices such as Cell phones tablets and GPS...etc. Emergency power supply as a power bank, quick batt. replacement to continue power charging once power being run out. 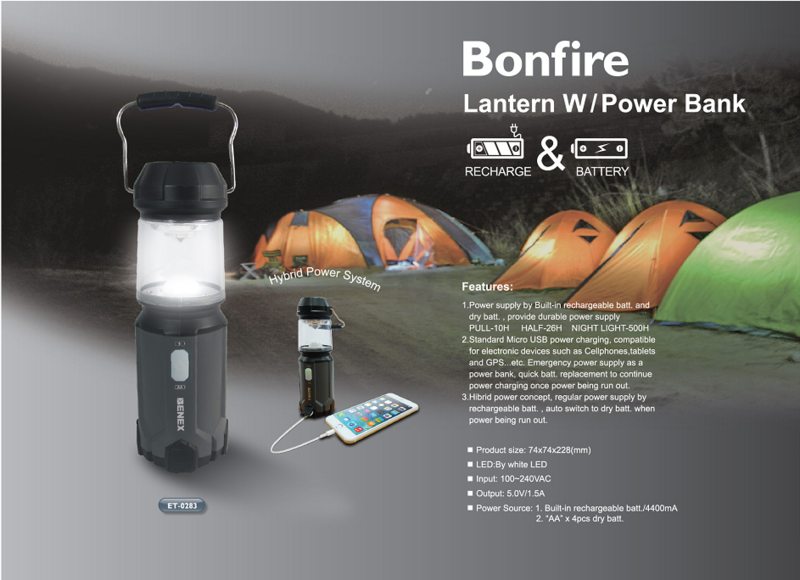 Hybrid power concept, regular power supply by rechargeable batt. , auto switch to dry batt. when power being run out. Li-lon 18650 / 2200mAh Batt. Under normal wear and tear, recharging ≥ 500 times.